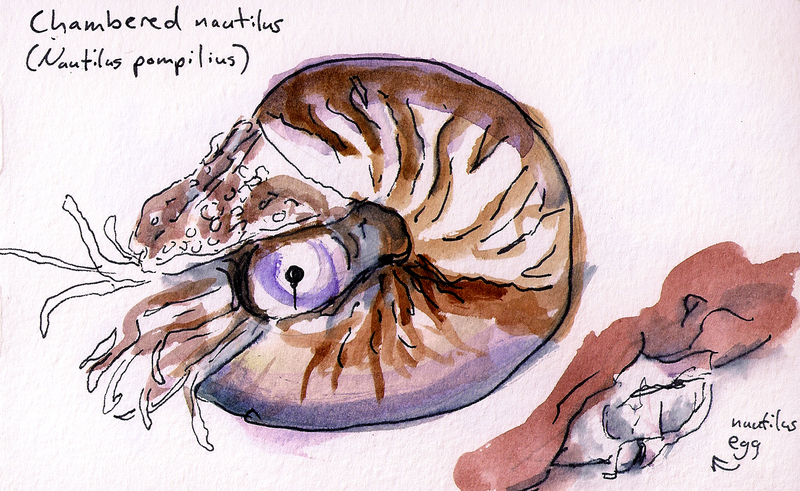 Here’s the original sketch that I drew from a live, swimming chambered nautilus at the Monterey Bay Aquarium. My family loved the swimming nautilus’s, but there were no nautilus toys anywhere in the aquarium. 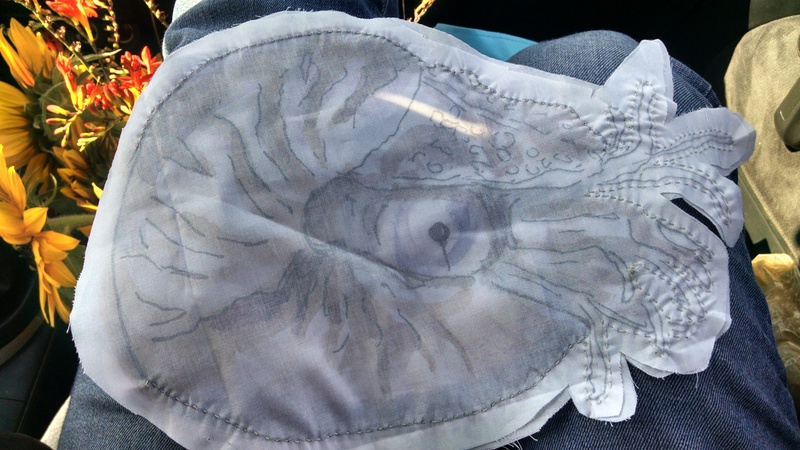 If you print the fabric that I designed at (http://www.spoonflower.com/designs/4370985), then sew the sides in reverse with ~1/2 inch margin, then stuff and seal it, you end-up with a cuddly chambered nautilus. Each pattern creates one (~9in. long) chambered nautilus toy, which is approximately the same size as a live one. 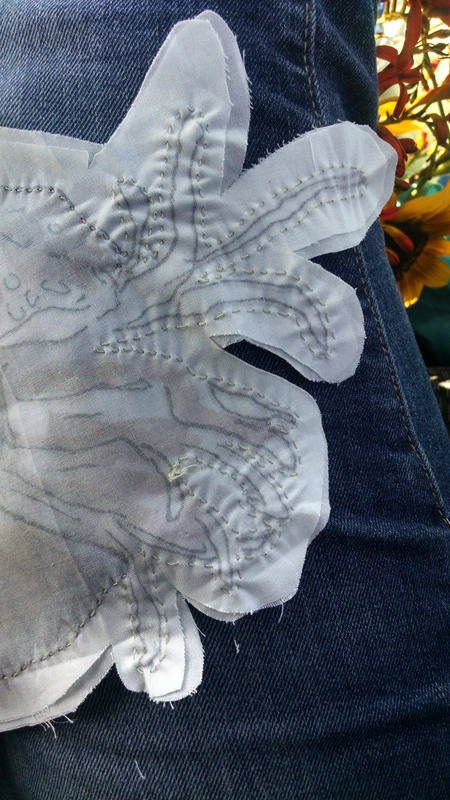 One tip, (I got overly ambitious) Sew the tentacles a little farther away from the drawing, and in clusters. I had a hell of a time trying to reverse and stuff the tentacles sewn like this.